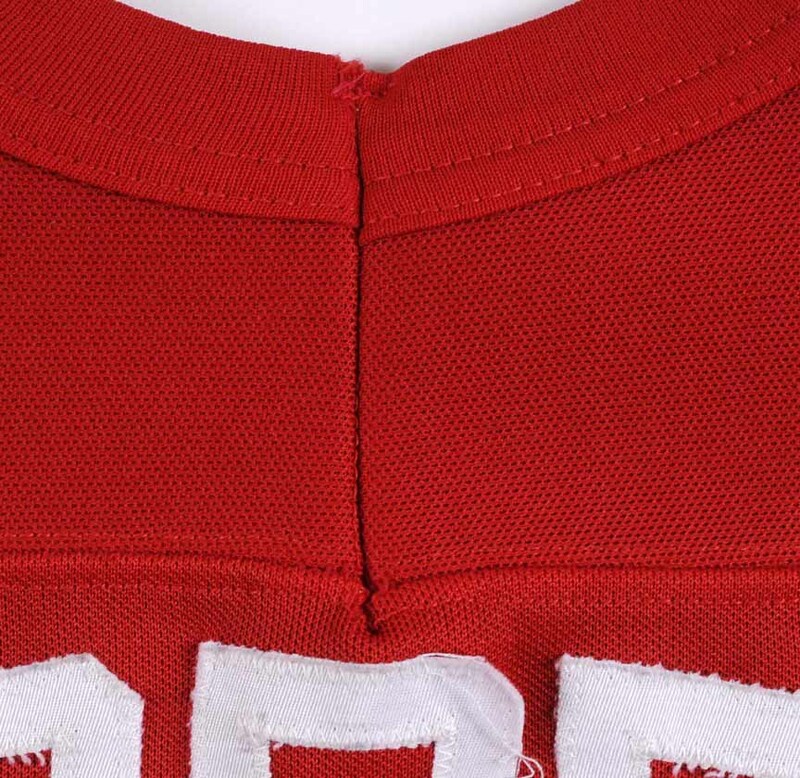 This road red knit gamer by CCM and Eastside was worn by Bob Probert during the 1987-88 NHL season. 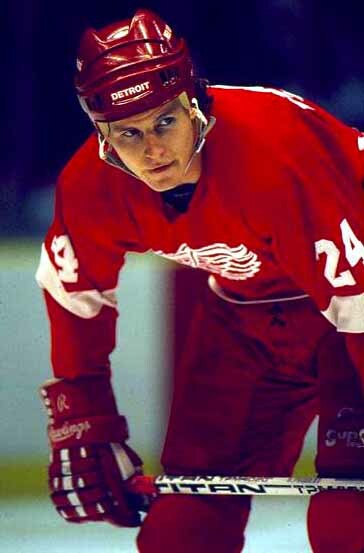 The Detroit Red Wings selected Probert in the 3rd round of the 1983 NHL Entry Draft. Probert made his NHL debut with Detroit during the 1985-86 season. It didn’t take long for Bob to make his presence felt, chipping in 21 points and 186 PIMS in 44 games as a rookie. The following two seasons Probert and his Wings made trips to the Conference Finals, where they fell both times to the Oilers dynasty. Probert spent his first 9 seasons with the Red Wings where he became the leagues top enforcer and a serious fan favorite. After some off-ice problems and a year away from the sport, Probert’s career landed him in Chicago where he ran roughshot over the league with the Blackhawks for the next 7 seasons. All told, Bob played for 16 seasons in the NHL and is 5th on the NHL’s all-time penalty minute leaders list with 3300 PIMS! Considered one of the most feared men who ever laced up the skates, this tough guy will never be forgotten by the fans that witnessed his wrath. Sadly, Bob passed away at only 46 years of age in the summer of 2010. The 1987-88 season was a special one for Probert. He rang up career best totals with 29 Goals, 33 Assists and 62 Points. Bob also set a career best in penalty minutes and led the entire NHL in the process as he posted a resounding 398 PIMS! During the 1987-88 playoffs, Probert tallied 8 goals, 21 points and 51 PIMS in 16 games played, showing his true versatility. His outstanding efforts during the 1987-88 season earned him his only NHL All Star selection. 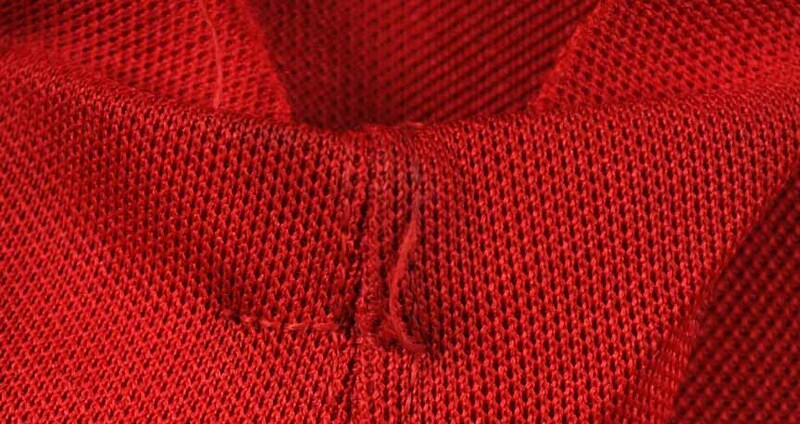 The game wear on this vintage sweater is solid and consists of stick marks, board burns, un-repaired burn holes and heavy inner pilling. Fight abuse is readily evident with a heavily rusted fight strap, loads of washed out bloodstains, a right wrist whose stitching has completely popped, stitch pops and separation at the front collar and a rear collar that has been torn down to the shoulder seam and subsequently repaired by the team. 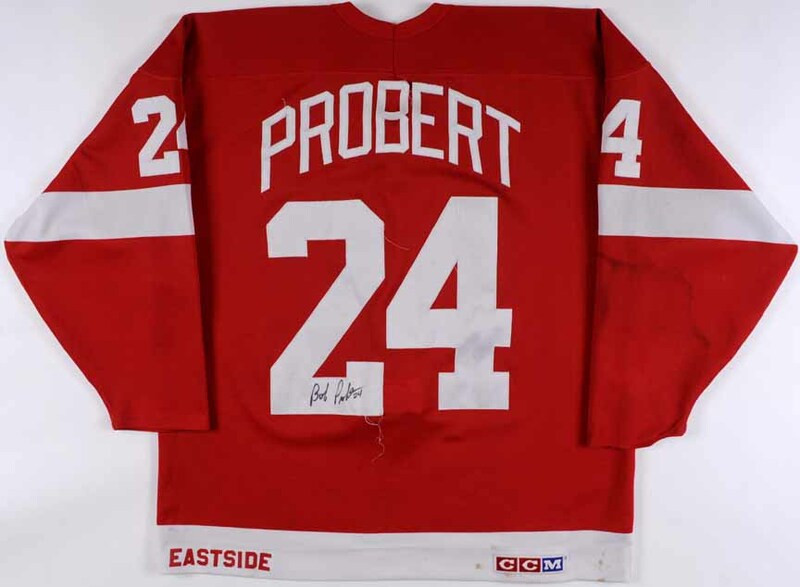 On the back player number is a beautiful black sharpie signature in Probert’s own hand. A terrific autographed offering from this legendary enforcer’s career best season that will become an instant cornerstone in any serious collection of enforcer’s gamers, choice!